San Gabriel Mountains - Home Of A Secret Underground Base? You are here: Home » Places » An Underground Base Under The San Gabriel Mountains? An Underground Base Under The San Gabriel Mountains? Is Obama Protecting A Secret Underground Base Under The San Gabriel Mountains? This week, some people cheered and others booed as Obama signed off on creating the San Gabriel Mountain National Monument. While most of the debate has been over access to the area, what restoration work will be done and so on, my question has been much more simple. 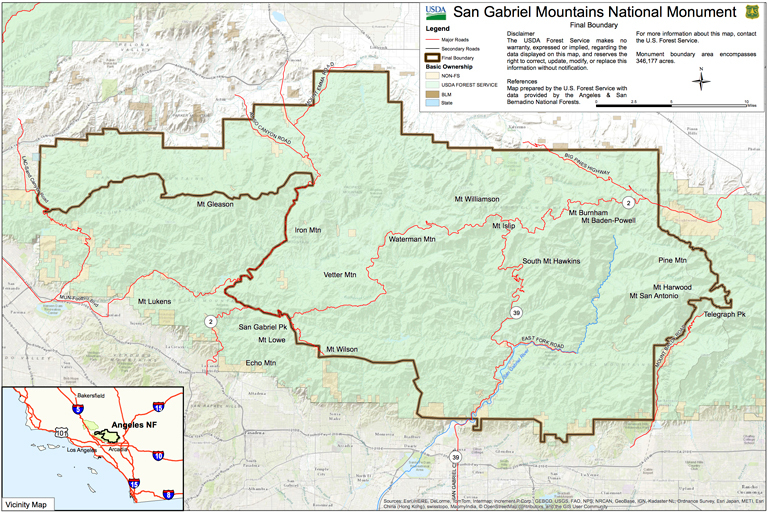 What is Obama really doing by turning the San Gabriel Mountains into a protected area? Most people would agree that everything that Obama (or any other president) has done, has been part of a master agenda. But what does creating a national monument do for that agenda. My first though of course is that it is a way to limit access and goings on in the San Gabriel Mountains, while establishing a base close to LA. Another point to consider on why this would be a good base location, is that it is in close proximity to the supposed underwater base off the coast of Malibu. What if the base under the San Gabriel Mountains is the point where an underground tunnel from the base links up with the tunnel system that is thought to run across our country. What Evidence Do We Have Of An Underground Base In The San Gabriels? While we don’t have any direct evidence of a base under the San Gabriels, we do have one account of people hearing what sounds suspiciously like tunneling operations under those hills. This happened some time ago, so a complete base would be real possibility by now. In April 1973, students camping in the San Gabriel Mountains on the western edge of the Mojave desert “felt uneasy” and then saw a giant man-like creature. Researchers from the UFOResearch Institute were called in. They discovered the sound of geared machinery and what might be compared to a hydroelectric plant coming from “beneath the forest floor”. Sounds of operating machinery have been recorded coming from mines in the area after midnight. The site The Truth Denied, references another underground base in the area. On Hwy 14 towards Edwards A.F.B. after Palmdale, one turns off and after taking several streets to 170th street, north on 170th St. to the Rosamond-1 70th intersection, the second and lower and better maintained dirt road will take you west, and if you take a right going north at the power lines and up to the hilltop you will see the top of an underground NORTHOP facility; Technology for the elite’s secret projects. This area was very active in the 1970s. Northrop’s facility is near the Tehachapi Mtns. 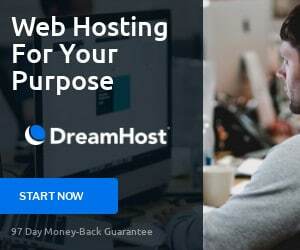 It has been reported to go down 42 levels. It is heavily involved with electronics and hi-tech aerospace research. Lets also not forget that it is in close proximity to Edwards Air Force Base which is already reported to have an underground base. 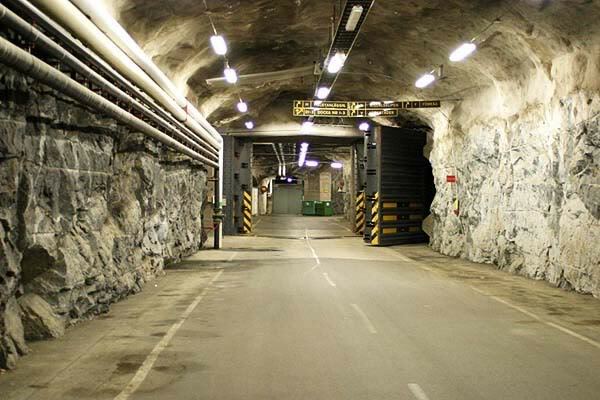 An underground base that extends as deep as two miles below the earth and is a join human – alien complex. Furthermore it is rumored to have a tunnel running out to Area 51 and another to Catalina Island. A tunnel from Edwards AFB to Catalina Island would run directly under the San Gabriel Mountains. Regardless of any lack of evidence, what else would prompt the POTUS to declare this a National Monument? A base makes perfect sense, particularly if they are trying to use it as a base to surveille Los Angeles. I can see several reasons for having a base overlooking the 15 million people that live within 90 minutes of the San Gabriel Mountains. 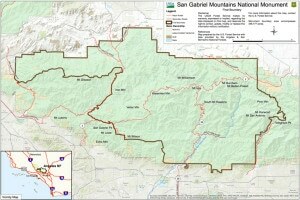 Why Do You Think Obama Declared The San Gabriel Mountains A National Monument? Was it purely a conservation move, or is Obama working under orders from higher up to lock down control of the San Gabriel Mountains and ensure that there is no more expansion into them, and potentially exposing an underground base there? This could just be a sincere and innocent act or it could be all part of a greater scheme. 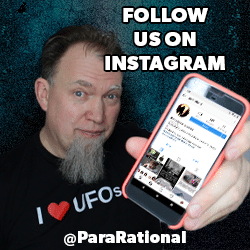 Post your comments below, and if you have any evidence to there being a base under the San Gabriels, be sure to let us know. You can either comment below or send us an email telling us what information you have! Previous ArticleIs Susan Powell Haunting Her Former Home? If Eboma is for it then I’m against it. He is too stupid to be the anti-Christ but he certainly is evil and anti-American. Not catalina location. Actually it’s san nicolas island …. now removed from most maps. Took janet flight on subcontract to do various electrical punchlist of projects. All materials and equipment are barged over. Classified as a nature preserve n NAS. No cameras or recording AV equipment allowed …. subject to search and jail. Contract under BnR managed by rand. Repaired a substation gurney feed to underground location unknown. We didn’t need to know. When SR71 lands … not allowed out of barracks. Galley food was awful. That should be enuf details to alert rand security I have pw n contract on project. Circa 1989 1990. Next expose on anachoic chamber at magu NAS. Flatbed delivery at 3 AM from groom to test radar. Piped in new security. Then there’s nemesis compound info. Gosh guys … another interview from HS in my future? Already offed other witness with a brain tumor. I’ve seen the tunnels in San Gabriel.mountains there are tunnels run under JPL In Altaden and Pasadena down Arroyo Seco and by Devils Gate Damn and further so down the Arroyo Seco all the way to Highland Park to the 110 freeway where one tunnel end by a closed down abwndoned military base in highland park off of 110 frewway next to the ending of Arroyo Seco .